In the state of California, courts do not require that one spouse be "at fault" in order to obtain or file for a divorce. Accordingly, all divorces are considered "no fault" divorces. The only thing that needs to be claimed is that the couple has something called "irreconcilable differences." What this means is that one or both parties could not get along anymore and wishes to end the marital relationship. What this also means is that California law does not punish the party parties who have committed the fault, such as having an affair. Courts will also not put more of the financial burden on one spouse for such a fault either. Division of assets is also typically based on community property principles and not which spouse was more at fault. There is also usually no legal advantage to being the first spouse to file either. However, under certain unique circumstances, the spouse who is first to file may have a strategic advantage. Regardless of whether or not both spouses want a divorce, it only takes one spouse to file for a divorce. If the other spouse does not want to divorce, there is not much they can do. Attempting to delay a divorce can incur legal penalties and possibly fines with the court. Additionally, if one spouse refuses to sign paperwork or participate, the other can get a default judgment and the divorce will be granted anyway. Oceanside is a city is located near Camp Pendleton with a great amount of commercial and industrial development since the seventies. With a large number of Marines and active military personnel, the area appears to be more economically balanced than many other California cities. Of particular interest in the area is the Oceanside Pier. The pier is known for being the longest wooden pier on the western United States coastline. Oceanside also caters to soccer lovers when it annually hosts the world's second largest Beach Soccer festival called The Southern California Beach Soccer Championships. Tourists come from all over the world to explore Oceanside's gorgeous beaches and great recreational activities. For legal assistance, residents of Oceanside use the North County Regional Center. This facility is located at 325 South Melrose in Vista. This court allows for a full range of family law legal issues to be heard. Additional information can be obtained by calling our offices or the court directly. The attorneys at Doppelt and Forney, APLC have a wide knowledge of family law matters. We know that you have many choices for your divorce, support and visitation family law issues. However, our attorneys are always striving to go that extra mile for you and to be your trusted family law firm. We offer a complete and confidential legal consultation to help you determine if we are the right law firm for you. During that consultation we sit down with you and hear about your legal issues in detail. Once we hear all the important facts, we help you come up with a realistic plan to help you achieve your legal goals. 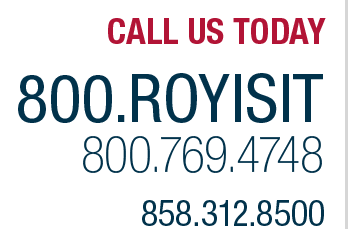 For your convenience, you can contact us online or call our offices at 858-312-8500. We We are located just a short drive from Oceanside in Rancho Bernardo. From the I-15 freeway, take the Bernardo Center Drive exit and travel east. We are on the left hand side of the road in the Clock Tower Office Complex. We are members of the San Diego County Bar Association and San Diego County Better Business Bureau. We look forward to becoming your trusted San Diego legal resource and we promise to always do our best to help you achieve your legal goals. Call us today!